Our guests have known for years Now you can see us on the show "Edge of Alaska"
Exclusive Michelin Guide recommendations in Wrangell St Elias for both our Hotel & Restaurant! The Ma Johnson's is an award winning, living museum hotel. The boarding house rooms are authentic and contain real artifacts from town. The rooms are smaller than most hotel rooms, and we recommend packing as though it is "Carry On Luggage" - Leaving big suitcases in the vehicle. The Ma Johnson's hotel is shared bath, there is a bathroom next door or across the hall to each bedroom. There are no outlets in the room (CPAP Machines can be accommodated with advance notice). You will find plenty of charging stations for your batteries in the hotel lobby. Rates include the McCarthy Lodge Breakfast for all our guests in both hotels. There are no taxes in McCarthy, Alaska. How are you arriving in McCarthy? 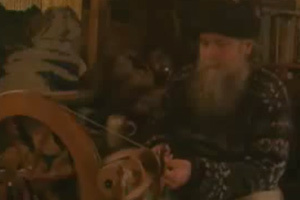 McCarthy is off the beaten path, of course we expect more questions! Ask them below, and we'll get right back to you! Thank you for your reservation reqeust. Somone from the McCarthy Lodge will be in touch with you soon. Locals and visitors want great variety and great prices too. McCarthy Center Store has everything you need, whether it's a quick lunch, shopping for the rest of your Alaska trip, a day hike, or a wilderness adventure. Mountain Arts Original Designs. Unique Treasures. The store is small, and we restrict product to items made by locals, produced with local materials, or our McCarthy Lodge hats, shirts, jackets and more. A memento of McCarthy - it's easy to find the perfect gift from McCarthy at Mountain Arts! It is your vacation, and our team's commitment is to be the highlight of your Alaska vacation! We live in McCarthy all year long, we know the real history of the area, and we love to share our stories with visitors. If you are a guest of our hotel it is Neil Darish and his staff who endeavor to make your stay with us the best experience of your visit to Alaska and our community. Because we are such a small hotel with a limited season, and no "walk-in" traffic, we don't want you to book your hotel room unless you are sure you are coming to McCarthy. When we confirm your reservation we will run the charge for the full amount and send you a confirmation email with a confirmation number. If you cancel between the time of booking and 45 days prior to arrival there is a $25 per room-night cancellation fee. If you cancel with less than 45 days notice, we cannot give a refund. However, we can issue a full credit towards a future stay if you call us to cancel by 6pm on the day of arrival. This credit would be good for 2 years and is non-transferable. We recommend travel insurance readily available on the internet, through your travel agent, or your insurance agent. Checkout time is 11 am. A late check out fee of $50.00 per room for check outs between 11 am and 1 pm, and 100% room charge after 1 pm, will be assessed. Check in time is 3 pm. Guests arriving after 10 pm will need to arrange a late night shuttle to the hotel. There is a $20 per person late-arrival fee to cover the cost of keeping a driver on-call for a late arrival. This policy covers how we treat your personal information - that which is personally identifiable like your name, address, email address, or phone number, and that is not otherwise publicly available. This policy does not apply to the practices of companies that we don't own or control but provide your information to upon your request. These companies include but are not limited to local flightseeing firms, guide companies, etc. McCarthy Lodge only collects personal information from you when you fill out one of our forms to contact us or to book a room at one of our hotels. We only use this information for the purpose it was intended. We ask those who contact us through our web site to provide us with their e-mail address only so we can respond to their inquiries. We never sell, rent, or lend e-mail addresses of users to anyone. We do not store credit card information online or for future charges. We are PCI DSS compliant in all credit card transactions. McCarthy Lodge never shares any of your personal information with other companies unless you have expressly asked us to � for instance when you request that we make a reservation with one of the other vendors here in McCarthy and Kennicott on your behalf. Once that information is in their possession, though, we cannot control how it will be used. This site contains links to other sites. McCarthy Lodge is not responsible for the privacy practices or content of those sites. Send us a resume and cover letter to begin the process. Of course, we’re looking for great attitude, resourceful, fun, hardworking folks, just like us. Excellent compensation and more! When sending your email put your name and the position you are applying for in the subject line. Please include a cover letter, resume and photo in your email. Please email a resume, (with 3 job references) to us for consideration! You will be working with other professionals. Our maintenance crew works on simple projects such as fixing a sticky door knob or noisy hinge, to more complex projects involving machinery and tools of the repair and maintenance trade. There are a number of outdoor and indoor painting projects that will be a big part of the 2015 season. A "jack of all trades" is nice, but not essential. Be ready to discuss your strengths in repair, maintenance, grounds keeping, and your natural ability to be flexible and fix stuff that breaks! The ideal candidate is well organized, completes tasks in a timely manner, and communicates well with other team members. We provide a safe, clean, fun place to work for the most memorable summer of your life! You provide the great attitude, with a sense of urgency when needed. We only have a few positions open for each season as most of our staff return every summer! We are seeking individuals with a strong work ethic who expect to be treated fairly and treat others the same way; have a great summer, and put in a solid days work in our various operations located in the remote setting of Wrangell St. Elias National Park. Compensation includes housing. Excellent pay (DOE). Completion bonus for staying the season. Grocery store and restaurant discounts. Transportation between Anchorage and McCarthy will be provided at no cost. In addition, there are opportunities to participate in outdoor activities such as flight seeing, ice climbing, rafting and more at reduced rates or free. Many of our local tour operators want you to experience their adventures so you will have firsthand knowledge when asked by guests about activities! Employee kitchen for your use. Previous repair and maintenance experience required. Full time position. Must be able to work 32 to 40 hours, with overtime if needed. Essential duties include working with hand and power tools, repairs, painting, construction project assistance. Must be able to pass a clean background check (no arrests or convictions). Full time receptionist position for the summer 2015 season. Transportation to/from Anchorage to our remote lodge (inside America's largest National Park) will be provided. Before you submit a resume, please read our guest's experiences at Tripadvisor.com As you can see from the reviews YOU will be an integral part of the guest experience! You will be working with other professionals. Receptionists are responsible for maintaining a positive guest experience. Duties include answering the phone, some van driving, guest check in and check out, and other tasks that relate to the hotel as needed. You would need a clean driving record, be over 25 years old, and be comfortable working with guests from all over the world. Your duties also include maintaining a presentable lobby and entrance area. Some computer experience is helpful but not essential. Must be well organized, complete tasks in a timely manner, and communicate well with other team members. We provide a safe, clean, fun place to work for the most memorable summer of your life! You provide the great attitude, with a sense of urgency when needed. We only have a few positions open for each season as most of our staff return every summer! We are seeking individuals with a strong work ethic who expect to be treated fairly and treat others the same way; have a great summer, and put in a solid days work in our authentic, memorable Ma Johnson's Hotel, located in the remote setting of Wrangell St. Elias National Park. Compensation includes housing. Excellent pay (DOE). There are some tips. Completion bonus for staying the season. Grocery store and restaurant discounts, as well as an employee kitchen for your' use. Transportation between Anchorage and McCarthy will be provided at no cost. In addition, there are opportunities to participate in outdoor activities such as flight seeing, ice climbing, rafting and more at reduced rates or free. Many of our local tour operators want you to experience their adventures so you will have firsthand knowledge when asked by guests about activities! To be successful, an individual must be able to perform each essential duty satisfactorily. Previous receptionist and/or hospitality experience preferred. At the very least, you need to enjoy working with people! Must be able to work independently and with others. Essential duties include assisting guests, answering questions in person and on the phone, cleaning common areas such as the lobby and porches, being able to lift up to 30 pounds, walking up and down stairs. Must have a clean driving record. Must be at least 25 years old. High School Diploma or GED. Full time housekeeping positions, May 10th to September 20th 2015. Transportation to/from Anchorage to our remote lodge (inside America's largest National Park) will be provided. Before you submit a resume, please read about us in Tripadvisor.com You will notice how consistently our hotel's cleanliness is mentioned. It is really appreciated and noticed by most every guest! YOU are essential to the guest experience. You would be working with other professionals. Housekeepers are responsible for cleaning hotel rooms and common areas in and around the hotel. Must be well organized, complete tasks in a timely manner, and communicate well with other team members. We provide a safe, clean, fun place to work for the most memorable summer of your life! You provide the great attitude, with a sense of urgency when needed. We only have a few positions open for each season as most of our staff return every summer! 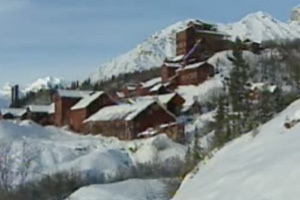 McCarthy Lodge & The Ma Johnson's Hotel is a unique, Alaskan gem. One of only 4 Alaskan properties to be awarded National Geographic's "129 Hotels We Love". Be a part of something special. Each year we receive numerous awards & recognition for our resort, (browse our website McCarthyLodge.com to learn more and review our press section as well.) In 2013, the Michelin Guide 2013 Must See's Alaska recommended our Ma Johnson's Hotel. THis is the only hotel in the park with a Michelin Guide recommendation. Compensation includes bonus for completion of season. Excellent pay (DOE). There are some tips that are split between the housekeepers daily or weekly. Grocery store and restaurant discounts as well as an employee kitchen for your' use. Transportation between Anchorage and McCarthy will be provided. In addition, there are opportunities to participate in outdoor activities such as flight seeing, ice climbing, rafting and more at reduced rates or free. Many of our local tour operators want you to experience their adventures so you will have firsthand knowledge when asked by guests about activities! Essential duties include cleaning guest rooms, bathrooms, doing hotel laundry, cleaning common areas such as the lobby and porches, being able to lift up to 30 pounds, walking up and down stairs. You are responsible for transportation to/from your state to Anchorage, Alaska. Do you have retail or grocery store (or retail management) experience? We are seeking retail clerks and a store manager for the McCarthy Center Store - a grocery and hardware store for the community of McCarthy. Management position must be available from mid May through September 15th. Clerk positions are from May 28th to September 8th. 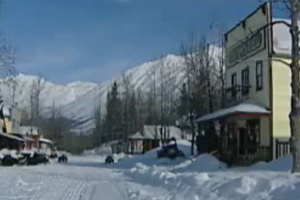 McCarthy Lodge is located in the middle of Wrangell St. Elias National Park. We provide free housing. Pay dependent on experience. Pay is bi-monthly based on hours. Are you self motivated & love the outdoors? Ever wanted to spend a summer having loads of fun in a remote Alaskan lodge? We are McCarthy Ventures LLC, (dba: McCarthy Lodge & The Ma Johnson’s Hotel) and we are searching for a few great additions to our team. These are full time positions for the summer 2015 season. Transportation to/from Anchorage to our remote lodge (inside America’s largest National Park) will be provided. The McCarthy Center is looking for our new Store Manager � do you have the professional experience to run our busy, dynamic, community centered Grocery and Hardware store? Full time position, May 15th to September 20th 2015.�� Transportation to/from Anchorage to our remote lodge (inside America’s largest National Park) will be provided. Minimum of 3 years experience in a Grocery store with at least 2 years Supervisory and/or Management experience. Strong food knowledge especially helpful to have experience with dietary issues such as gluten free and vegan; some preapred foods knowledge is helpful.� Produce experience is prefered. Experience Supervising staff is required. Strong store management skills product knowledge, scheduling as well as inventory and banking strengths are preferred. Ability to manage staff members in a remote location with minimal supervision. Experience with new product introduction, prepared food concept changes and updates also prefered. Familiarity with ordering and vendor relations. Ability to manage frequent change, and critically analyze numbers and concepts. Work closely with the Owner to ensure effective overall store operations of Fresh Food handling, Liquor store operations, and Hardware store operations. Responsible for the management of all aspects of Liquor Store operations in accordance with ABC board criteria. Scheduling of� the store team. Maintains and organizes all storage rooms. Weekly liquor orders coordinated with the owner. Facilitates special store related projects. Responsible for all scheduling, training and development of Team Members. Maintain physical condition of facilities..
Order and maintain all inventories for area, maintain cost control efforts for labor and waste management and conduct meetings updating staff on daily goals and objectives. Responsible for department budgets including payroll and controllable spending. Put in the subject line "STORE LEADERSHIP APPLICANT"
Do you have retail or grocery store (or retail management) experience? We are seeking retail clerks for the McCarthy Center Store - a grocery and hardware store for the community of McCarthy. Qualified candidates must be available from late May through September 15th. These are full time positions for the summer 2015 season. 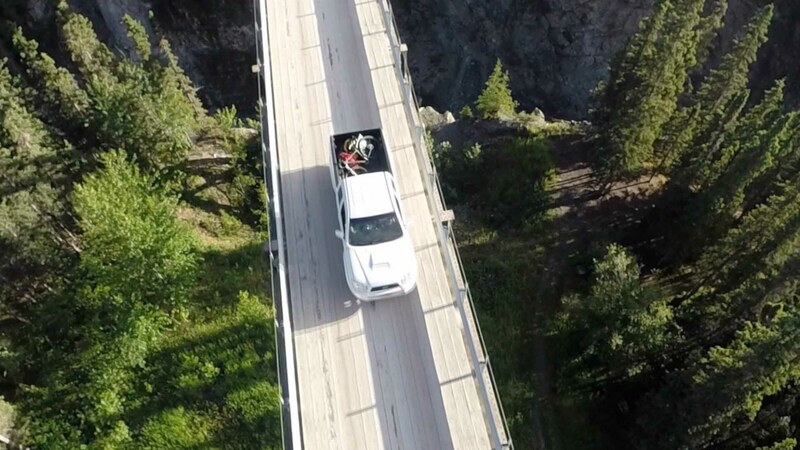 Transportation to/from Anchorage to our remote lodge (inside America’s largest National Park) will be provided on May 10th and September 20th. Because our store includes a liquor store you must be at least 21 years old to apply. Store clerks assist customers with their purchases. You would also be responsible for the complete cleanliness of the store. Opening and closing duties include constant adjustment of product on the shelves, stocking product. Rotating produce, moving produce from walk in to produce case. Receiving weekly orders. Inventory at specific times of the season. Running a cash register, accounting for the cash drawer and sales, as well as running credit card purchases. Our product mix is unique and includes everything from bulk goods to fresh produce; from frozen foods to fresh dairy and gluten free baked goods; from fasteners and building materials to chainsaws to hammers; and of course you will be scooping many ice cream cones during the summer! Natural foods or generic packaged goods, we need to satisfy a wide range of product needs for our community. Liquor service training certification valid in Alaska, can be completed in McCarthy, online. There is a great opportunity in leadership for an experienced retail or grocery store manager. If you have 3+ years of grocery store or retail store management experience, please email your resume with "Store Leadership" in the subject line. Compensation includes housing. Excellent pay (DOE). Completion bonus for staying the season. Grocery store and restaurant discounts as well as an employee kitchen for your' use. Transportation between Anchorage and McCarthy will be provided at no cost on May 10th and September 20th, and for store candidates that prefer to arrive later, we can assist in getting you transportation or ride shares into McCarthy on other dates. In addition, there are opportunities to participate in outdoor activities such as flight seeing, ice climbing, rafting and more at reduced rates or free. Many of our local tour operators want you to experience their adventures so you will have first hand knowledge when asked by guests about activities! 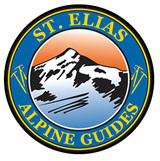 Put in the subject line "STORE CLERK APPLICANT"
Full time positions, May 10th to September 20th 2015. Transportation to/from Anchorage to our remote lodge (inside America’s largest National Park) will be provided. Minimum of 2 years experience in face paced Restaurants or Bars . Drink knowledge with some wine knowledge preferred. Food & Wine knowledge is a critical requirement for those candidates applying for the fine dining positions. Upbeat attitude about everything in life is required. Professionals leave any trace of a bad attitude at home. Strong Commitment to customer and client service, possessing excellent guest service skills, Demonstrate initiative. Leadership and team building skills are a plus. All the typical side work, setup, and guest services associated with being a professional server or Bartender - be prepared to discuss what this means to you. Work closely with the manager to ensure effective overall guest experience. Compensation includes an hourly wage (DOE) shared employee housing, shift meals. Discounted groceries and restaurant meals. Employee kitchen for your use. Transportation between Anchorage and McCarthy on May 10th and September 20th. Transportation between your home town and Anchorage Alaska is not reimbursed. Responsible for the cleanliness of all aspects of all assigned areas of responsibility in Food & Beverage in accordance with our criteria and other priorities as set forth by management. Apply by email with Resume and cover letter. The McCarthy Lodge & The Golden Saloon is seeking experienced line cooks who are looking for an awesome summer experience in remote Alaska. McCarthy is the very center of the nation's largest National Park: Wrangell St. Elias. You will be surrounded by the highest concentration of mountains, glaciers and wildlife in North America. Our season is from May 16th to September 20th. We are seeking three resourceful individuals who have a great attitude. If you have at least 2 years of solid line cooking experience in a busy restaurant - we want to hear from you. Baking and pastry experience is helpful but not essential. Compensation includes an hourly wage (DOE) shared employee housing, shift meals. Discounted groceries and restaurant meals. Employee kitchen for your use. Transportation between Anchorage and McCarthy. Transportation between your home town and Anchorage Alaska is not reimbursed. Completion Bonus for staff who complete the contract (stay through September 20th. 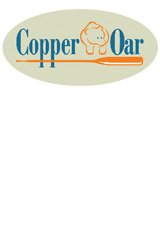 We are an old west style saloon with a fully equipped kitchen featuring casual family style dining with a varied menu. We also have an award winning fine dining restaurant that you will have an opportunity to assist in. If you are enthusiastic, have a positive and helpful attitude, if you are resourceful - and you want to experience the real Alaska - then we encourage you to submit your resume for consideration. This opportunity will give you the experience of working & playing with dedicated, intelligent, original personalities - we love and understand great food experiences. If this sounds like a great summer opportunity for you, then please email your resume, with 3 business references. The Road to McCarthy - as much about the journey as the road itself. From the minute you start planning your trip, you can feel it deep inside; the start of a journey like no other. For over 100 years McCarthy has enticed travelers with the promise of an adventure as unique as the individual, and yours will be no different. More mountains, glaciers, and wildlife than anywhere else on earth. To quote the National Park Service: "Wrangell-St. Elias has more superlatives than any other National Park." 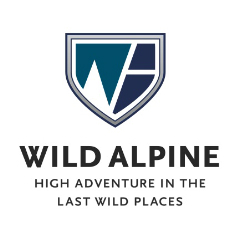 Stay with us and see 9 of the 16 tallest peaks in North America, 4 major mountain ranges, over 150 glaciers, and all from the center of the largest world heritage site. 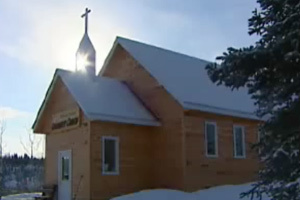 You will be staying in the historic town of McCarthy where you can experience the real Alaska. Most of our staff lives here all year, and we look forward to sharing the Kennicott-McCarthy area and the surrounding spectacular wilderness with you. And don't believe everything you've heard about the McCarthy Road &dash; Alaska's Depart of Transportation has helped make traveling "The Road" easier and safer than its ever been. 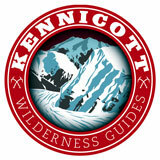 Unless you're flying into the area, travel to McCarthy and Kennicott requires driving the 60 mile McCarthy Road. This road is essentially built on the old Northwest-Copper River Railroad bed right of way. Its had a bad reputation in the past but has been designated a scenic corridor and major upgrading began in 2006. Alaska's Department of Transportation has made enormous progress in keeping the road in excellent shape through the summer months. The McCarthy road use to be the worst in America (or at least Alaska) not so anymore! In Fact, there is no excuse to break a rental car contract as Budget and other car rental companies now allow many of their cars on the McCarthy Road. In every case, be sure to ask if the rental agreement will be void if driving the McCarthy Road. Check with us if you are having trouble finding a rental car, we will be able to find you options at competitive prices. The McCarthy Road use to be responsible for 100+ flats a year, sometimes multiple flats from spikes ‐ now spikes are very rare, the first 17 miles has a "chip seal" hardened surface, and the key to a flat free drive is to never travel faster than 30 or 35 miles per hour. PLEASE DO NOT DRIVE THE MCCARTHY ROAD UNLESS YOU CAN CONTROL YOUR DRIVER TO NEVER GO FASTER THAN 30MPH. ROCKS GET KICKED UP AT FASTER SPEEDS, EVEN IN AN SUV. THESE ROCKS AT HIGH SPEEDS CAN HIT THE OIL PAN CAUSING MAJOR CAR DAMAGE. There is now a new bus service between Anchorage and McCarthy! 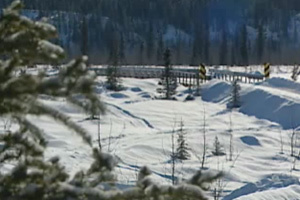 Take Alaska/Yukon Trails Bus Line from Fairbanks to Glennallen, then take Backcountry Connection from Glennallen to McCarthy. 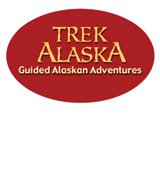 Alaska/Yukon Trails connects Fairbanks, Denali, Anchorage, Valdez, Prince William Sound, Whittier, Seward within Alaska and Dawson City, Yukon Territory. For Reservations, Please call 1-800-770-7275. Reservations are required. Please call: In Anchorage: (907) 277-6652; In Whitehorse: (867) 668-4833; In other areas: 1-800-770-6652. Passengers are allowed one piece of luggage and one overnight or flight bag (which must fit in the overhead rack). Excess baggage will generate an additional charge. Mailing address: P.O. Box 501, Anchorage, AK 99510-0501. 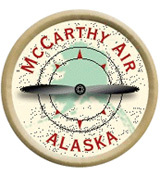 Take one of 3 daily flights into McCarthy from Chitina and avoid the McCarthy Road. Flight Tour Shuttle at McCarthy included! Flying to McCArthy in your own bush plane? If you have your own private plane, you can also fly into the McCarthy airfield. There are also several private air taxi services available in the area. No matter how you get here, be sure to do a flight seeing trip into the deep wilderness that surrounds McCarthy! Conde Naste recommended driving to McCarthy, as it is incredibly scenic. The London Times online calls it: "The most beautiful road I have ever been on" in an article published in 2004. It is possible to view Alaska Dahl sheep, goats, Tundra swans, moose, black bear, grizzly bear, fox, wolverine and endless assorted waterfowl along this route. If you're an avid fisherman there are many lakes available from Glennallen to McCarthy for trout, salmon, and burbot. The McCarthy Road has been improved so much over the past few years that several car rental companies now allow their vehicles on the McCarthy Road when you book with us! 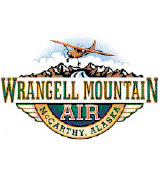 Wrangell-St. Elias Tours now provides direct van transportation from Anchorage to McCarthy and Kennicott (May-Sept). Let someone else drive & take in all the scenery! The road isn't the only way to travel to McCarthy. You can fly from Anchorage, or from one of the surrounding towns! Fly your own plane in, or convince a pilot friend to join you! Interested in one or more business opportunities for sale in McCarthy?